Do you long for the heyday of video games, when you got a new life at 10,000 points and monsters came in bright, primary colors with big googly eyes and goofy grins? Look no further: You can play the following ten old-school-inspired games on your PC---and they play as well as they ever did in the arcades. Best of all, they're all completely free. Jet Ski: In this full-color version of the classic black-and-white arcade game, you race up to three other computer controlled jet-skiers along a winding course. If you bump another jet ski or hit a wall, your jet ski will slow down and you'll lose some time. Stay loose! Asteroids: Protect your cities from the ravages of two-dimensional meteorites as they tumble down from space in this update to the classic, 2D Intellivision game, Astrosmash. PacPC and MsPacPC: It's not hard to guess which classic games these two emulate. Take on steely eyed ghosts and eat the dots before you get eaten yourself in a revision of the original Pac-Man and Ms. Pac-Man. Don't forget to pick up the tasty treats that appear under the ghosts' home base. PC*Bert: Leap for your life in this true-to-the-original version of the offbeat arcade classic, Q*Bert. The star of the show needs to jump on each square on the board, but the squares are arranged diagonally, so the game can get tricky if you don't pay close attention. Watch out for the purple blobs, which turn into springy monsters intent on, well, landing on top of you. Believe me, this is a bad thing. Liero Extreme: This updated version of the classic Liero puts you in control of a dangerous earthworm on a mission to take over a patch of dirt. 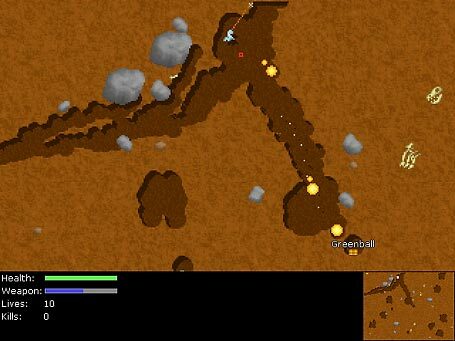 Armed with an arsenal of weapons only a worm could love, dig your way through the soil until you can blast away at the competing worms, while you try to capture bonus pickups along the way. Compete against up to five other computer-controlled worms offline, or take your skills online to fight other players over the Internet. 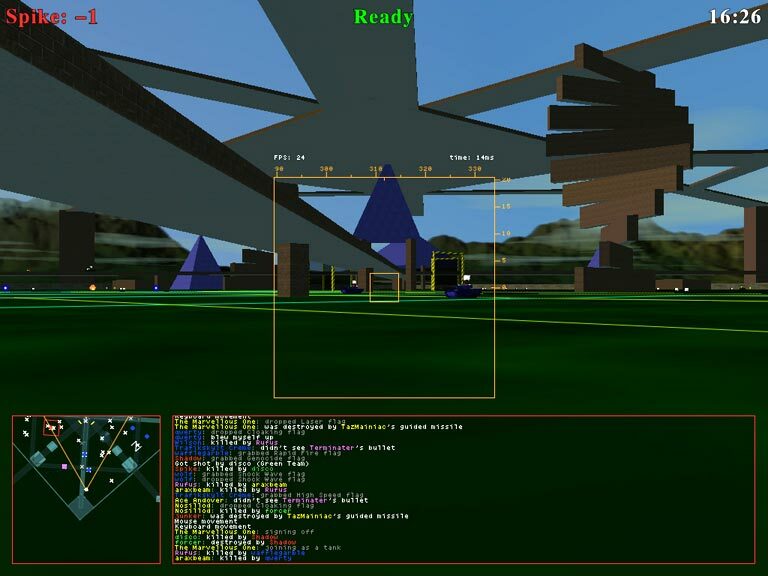 BZFlag: This full-color, Internet multiplayer update to the classic Battlezone puts you in a tank with a mission: Use your tank to capture a flag from the enemy team, while everyone on the other side is firing at you. Special areas of the map let you bounce your tank into the air to temporary safety, but don't rely on that for long---there's always someone waiting for you to come back down. Blokus: What exactly is Blokus? Take one part Tetris, one part chess, add a dash of Scrabble-like strategy, and blend well. Play against another human or against the computer, as you try to get rid of sets of colored blocks before the other player can get rid of theirs. It's one of those games that just gets deeper the more you play; it's so addictive, one editor told me he couldn't stop playing Blokus during his entire weeklong winter vacation. GLTron: Back in 1983, Disney released the movie Tron, which featured a game called Light Cycles. 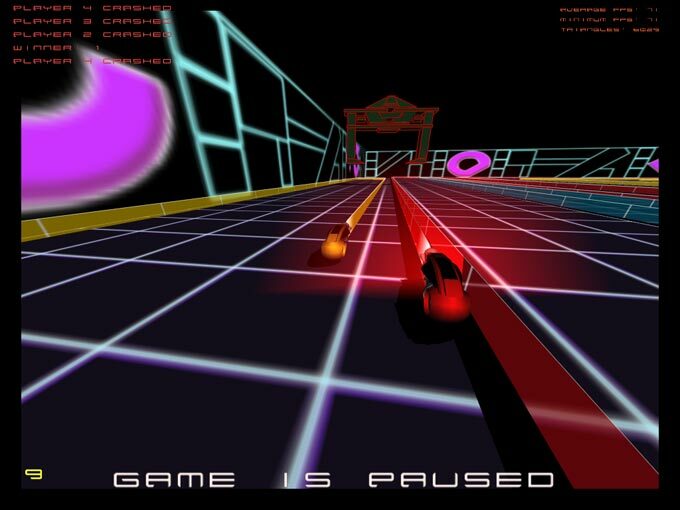 Each player in the game controls a Light Cycle, which can only make right turns and leaves a trail behind it that is solid, like a wall. The object is to trap all the other players with your trail so they have no choice but to run into the trail or one of the walls in the game environment. This game includes styling that remains true to the original movie, though it looks much better than the movie ever did (and is a lot more entertaining). Java Arcade Emulator: Technically not a game, the Java Arcade Emulator lets you play more than 40 classic arcade games right in your Web browser. Just how "classic" does JAE get? The earliest game it plays is Atari's Night Driver (1976) and the newest is Arkanoid (1986), the Breakout clone. Have a question or comment? Drop a line to Andrew Brandt.